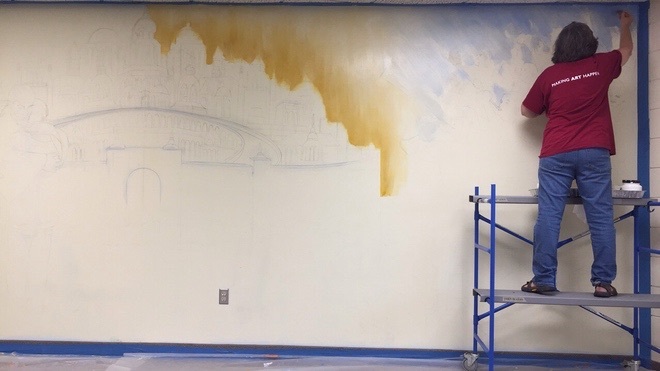 Today I started painting a mural of Heaven for St. Thomas More Parish in my hometown. It is 8.5’x 24′. The right half is shown above. I layed in the background across the top.